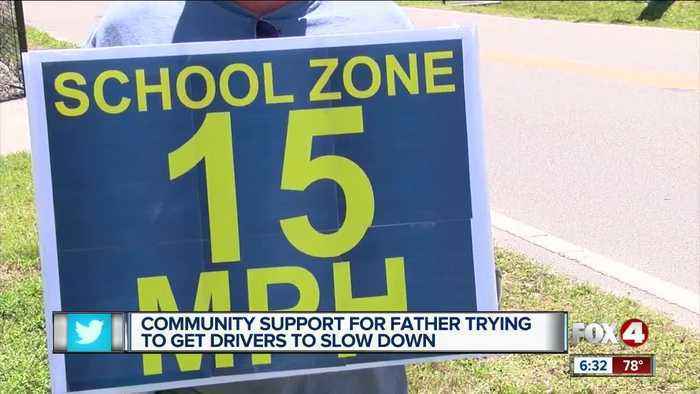 A Port Charlotte man holding signs asking speeding drivers to slow down near his son's school seems to be making an impact. Chris Analetto said he used to see dozens of drivers speeding every day in front of Peace River Elementary on Beaver Lane, but has seen a drastic reduction in the past week. BROUGHT YOU THESTORY OF A CHARLOTTECOUNTY MAN WHO ISTRYING TO GETDRIVERS TO SLOWDOWN NEAR PEACERIVER ELEMENTARYSCHOOL IN PORTCHARLOTTETHIS IS JUST A FEWWEEKS AFTER EIGHTYEAR OLD LAYLA AIKENWAS KILLED BY A HITAND RUN DRIVER ATHER BUS STOP IN CAPECORAL. 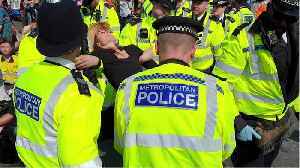 NOW...MOREPEOPLE ARE JOINING AMAN'S FIGHT TOCONTROL SPEEDERSNEAR HIS SON'SSCHOOL. FOX FOUR'SKARL FORTIER HASMORE ON HOW THIS ALLSEEMS TO BE HAVINGAN EFFECT.Chris Analetto/concernedabout speeders "I don'thave a radar gun, but I'mguessing they were going50 mph, and the street isonly 30 mph when it's nota school zone. "CHRIS ANALETTO SAYSDRIVERS OFTEN GOWAY TOO FAST DOWNBEAVER LANE IN FRONTOF PEACE RIVERELEMENTARY, WHEREHIS SON GOES TOSCHOOL. SO CHRISDECIDED TO DOSOMETHING ABOUT IT...HE BEGAN HOLDING AHOMEMADE SIGNREMINDING THOSEDRIVERS TO DOSOMETHING THIS SIGNWITH FLASHING LIGHTSIS TELLING THEM...TOSLOW DOWN TOFIFTEEN MILES AN HOURWHEN SCHOOL LETSOUT.Chris Analetto/concernedabout speeders "The sign'shelping. At first I'd see 50or 60 speeders a day outhere. Now, maybe one ortwo. "MONDAY HE BROUGHT AMORE VISIBLE SIGNWITH BRIGHT YELLOWLETTERS. ANDSOMETHING ELSESHOWED UPTOO...MORAL SUPPORTFROM A FEW FRIENDSAND PARENTS.Jack Wilczewski/concernedabout speeders "If you canjust educate them aboutwhat's going on, they'll dothe right thing for the mostpart. "DESPITE THE ADDEDSUPPORT ...OURCAMERA STILL CAUGHTONE DRIVER WHO NOTONLY DIDN'T PAYATTENTION TO THESCHOOL ZONE ITSEEMED TO TAKE THEMA WHILE BEFORE THEYNOTICED THE DEPUTYBEHIND THEM TRYINGTO PULL THE DRIVEROVER.Chris Analetto/concernedabout speeders "That justproves my point, thatofficer tried to pull themover from way down thestreet. "JACK SAYS HE THINKS ACROSSING GUARDPOSTED AT BEAVERLANE AND HANCOCKAVENUE NEAR THESCHOOL WOULD MAKEMORE DRIVERS MINDTHEIR SPEED. "If they see the crossingguard, then they're awarethat something's going onhere. "I DID SPEAK TO MIKERILEY, CHARLOTTECOUNTY SCHOOLSCOMMUNITY LIAISON. HESAYS THE SCHOOLDISTRICT MIGHTCONSIDER ADDING ACROSSING GUARDSOMEWHERE ELSENEAR PEACE RIVERELEMENTARY ...BUT SOFAR THERE ARE NOPLANS FOR THAT. 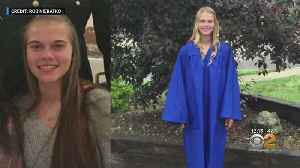 Three people have been arrested in the disappearance, including her biological father. Ashley Combs, 17, had been missing from Toms River since Friday when she didn't return home from school. CBS2’s..